There have been over 1600 species of bird recorded in Ecuador. 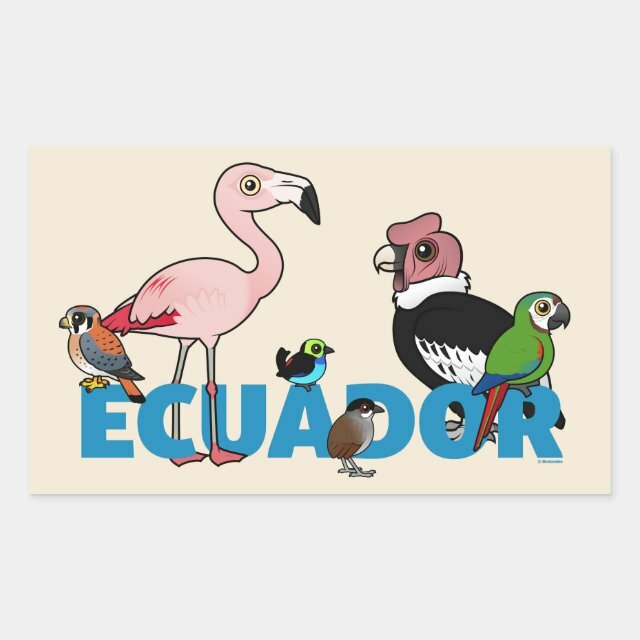 This fun Ecuador design features six target bird species that people like to see when they visit this amazing South American country. The birds are: American Kestrel; Chilean Flamingo; Paradise Tanager; Jocotoco Antpitta; Andean Condor; and Chestnut-fronted Macaw. You can customize this gift! Move the design around, change the product background color or product style, or even the product type! Make it your own!